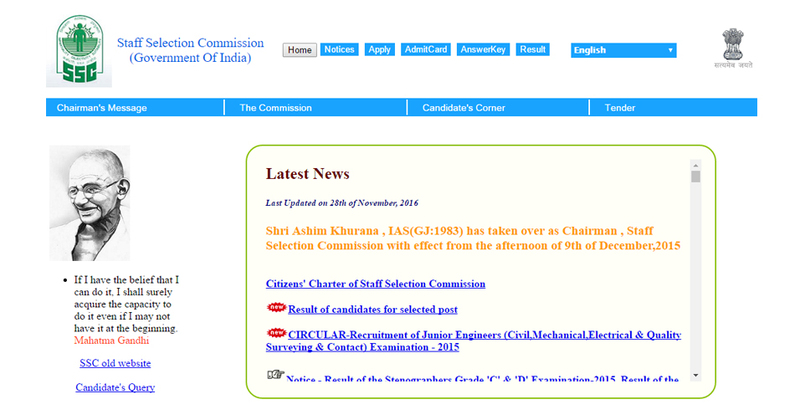 The Staff Selection Commission (SSC) has declared the SSC stenographers results 2016 for Grade C and Grade D on the official website www.ssc.nic.in. Candidates trying to get their SSC results 2016 have to visit the official website and fill the blank space with the required information including roll number, registration number and other required information. SSC stenographers 2016 examination took place on July 31, 2016 across the centers. Due to the huge visitors on the official website candidate may face technical issues in getting their results. So the candidates are advised to stay calm and refresh the SSC results website in a short interval of time to get their results.